Alongside the Pixel 3 and Pixel 3 XL, the Pixel Slate was announced today. It's a big, expensive, 12-inch tablet with an optional first-party keyboard cover that turns it into a sort of half-measure laptop. For those seeking a more traditional computing experience (but not enough so to buy a traditional computer), Brydge has a product that may interest you: the G-Type keyboard. The G-Type is a full-size backlit keyboard/trackpad combo that snaps onto the bottom of the Slate. It matches the tablet's color, and it can fold shut like a regular ol' laptop. It's got all the right keys, including one for the Google Assistant — and they're square, which is sure to please a lot of people. 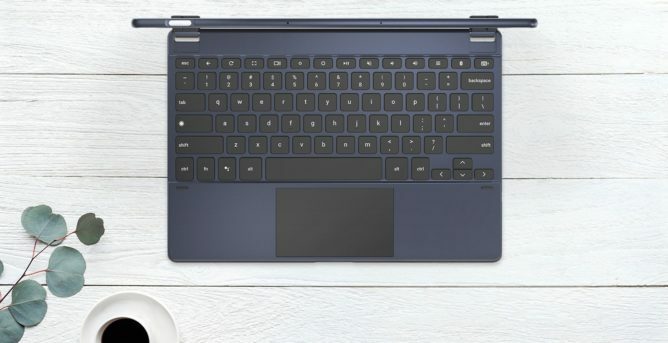 It connects to the Slate by Bluetooth and charges with USB-C; Brydge says the battery can last up to six months on a full charge. Another compelling detail is the price: at $159.99, the G-Type is 40 bucks cheaper than Google's own offering. You can read more about the keyboard and join a waitlist to order at Brydge's website.